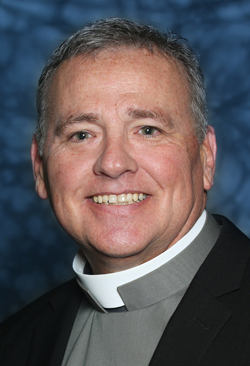 Archbishop Charles J. Chaput will ordain 16 men to the permanent diaconate during a ceremony at which their wives and families will be present on Saturday, June 9 at 10 a.m. at the Cathedral Basilica of SS. Peter and Paul. 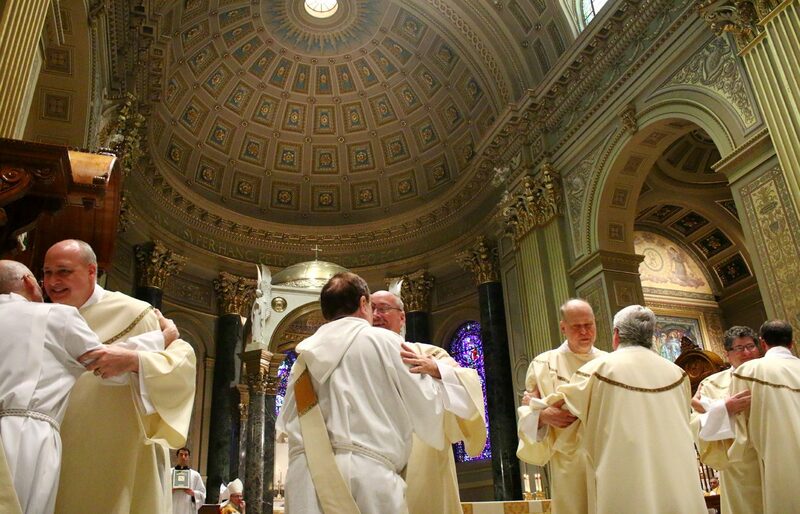 As ordained members of the clergy in the Catholic Church, the new deacons will take on greater roles of service in the parishes of the Archdiocese of Philadelphia. Below are their brief biographies. CatholicPhilly.com will provide complete coverage of the ordination Mass. 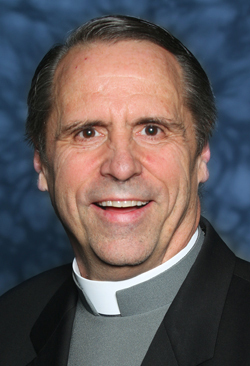 James M. Browne is a member of Holy Family Parish in Philadelphia, where he resides with his wife, Diane. They have three children, Jessica Milliken, Daniel Milliken, and Claire Milliken. James holds a bachelor’s degree in government from St. John’s University in Queens, N.Y. He has retired from the Department of Defense. 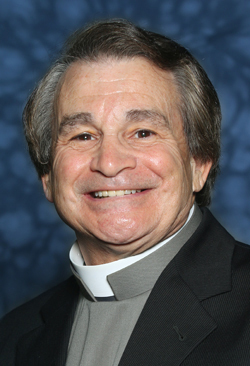 Robert G. Flynn is a member of St. Philip Neri Parish in Lafayette Hill where he resides with his wife Nicole. They have three children, Delany, Kylie, and Ciara. Robert holds a bachelor’s degree in accounting from Drexel University and is the sales director of the Finance Division at Oracle Corporation. Jonathan P. Hess is a member of St. Elizabeth Parish in Chester Springs where he resides with his wife Sandra. They have three children, Sean, Kieran, and Margaret. Jonathan holds a bachelor’s in science biology from Creighton University. He also attended Villanova University where he received a masters’ of business administration/systems design. Jonathan is a pharmaceutical executive and is employed by Antares Pharma. 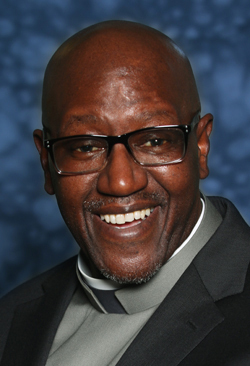 Dwight C. Johnson is a member of St. Agnes Parish in West Chester where he resides with his wife Kimberly. They have three children, Catherine Montgomery, Emily, and Andrew. Dwight holds a bachelor’s degree in civil engineering from Villanova University and from Philadelphia College of Osteopathic Medicine. He is a physician with Penn Medicine. 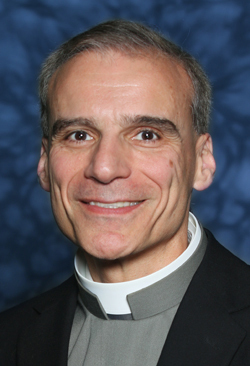 John J. Knesis is a member of Resurrection of Our Lord Parish in Philadelphia where he resides with his wife Janet and son Anthony. He is employed by the Pennsylvania State Police where he is a motor carrier enforcement supervisor/commercial vehicle enforcement. 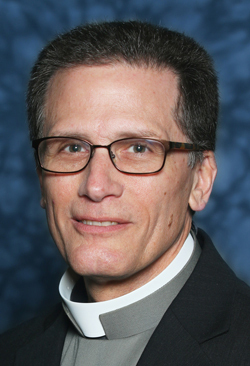 Stephen J. Martino is a member of St. Norbert Parish in Paoli where he resides with his wife Theresa and their daughter Olivia Jude. Stephen attended the University of Pennsylvania where he received his bachelor’s degree. He is a marketing consultant employed by M Health. 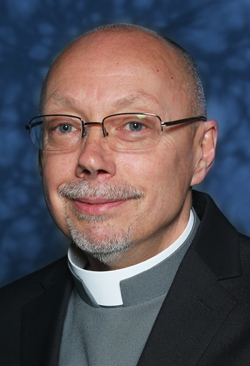 David J. Matour is a member of St. Teresa of Avila Parish in Norristown where he resides with his wife Susan and two children, Daniel and Sarah. David graduated from Temple University. He is employed as an engineer at Lockheed Martin. 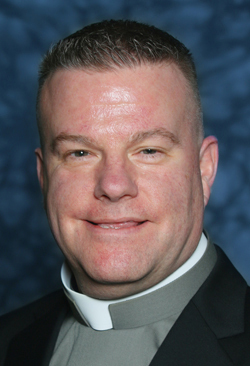 Eugene J. McNally III is a member of St. Christopher Parish in Philadelphia where he resides with his wife Janine. They have four children, Mariah Martinez, Madison, Brett, and Cole. He holds a Bachelor of Science degree in construction management from Spring Garden College. Gene is the president of Senate Builders and Construction Managers, Inc.
Kevin T. Mead is a member of St. Elizabeth Parish in Chester Springs where he resides with his wife Debbie. They have two children, Tiffany and Bryan. 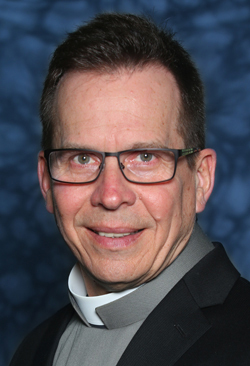 Kevin holds a Bachelor of Business degree from Saginaw Valley State University as well as a Master of Business Administration degree from Villanova University. 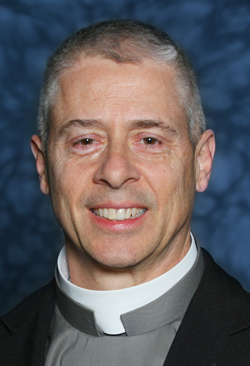 He is the chief executive officer at Specialty Resources, Inc.
Mario G. L. Mirabelli is a member of St. Catherine of Siena Parish in Horsham where he resides with his wife Sharon. He has five children, including Emily, Michelle, Tara, and Alyssa. Mario holds a PH.D. in organic chemistry. He is employed at Dow Chemical Company as a research chemist. 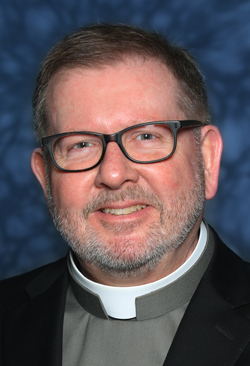 Albert J. Murphy is a member of St. Gabriel Parish in Norwood where he resides with his wife Jackie and their three children, Nicole, Albert, and Devan. Albert has an associate’s degree from Lincoln Technical Institute. He works for Rose Tree/Media School District as a bus/truck mechanic. 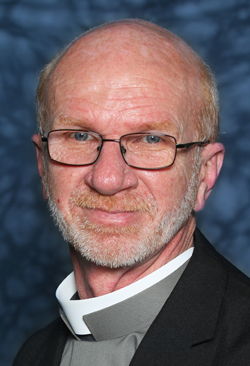 John K. Murray is a member of Queen of the Universe Parish in Levittown where he resides with his wife Cheryl. They have three children, Kevin John, Mackenzie, and Madison. John holds a Bachelor of Business Management degree from St. Francis University. He is a safety co-chair at United Parcel Service (UPS). 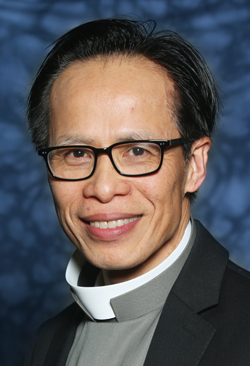 Phuong Nguyen is a member of St. Maria Goretti Parish in Hatfield where he resides with his wife Tina and their three children, Eric, Long, and Lambert. Phuong holds a Doctor of Pharmacy degree from Temple University School of Pharmacy. He is a pharmacist at Temple University Hospital. Michael P. Nungesser is a member of St. Isidore Parish in Quakertown where he resides with his wife Shannon. They have two children, Faith and Benjamin. Michael holds a Master of Economics degree from Temple University. He is employed by Sharetracker as an economist. 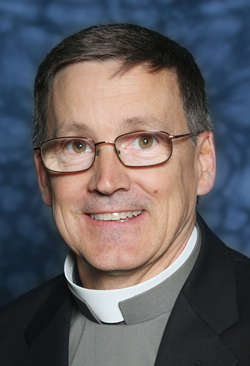 Raymond H. Thuel is a member of St. Agnes Parish in Sellersville where he resides with his wife Mary. They have five children, Marybeth Fisher, Colleen Parry, Kathryn Heitz, Michael and Stephen. Raymond is employed as a driver for McCormick Brothers. 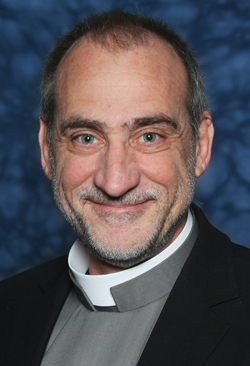 Anthony O. Willoughby is a member of St. Barnabas Parish in Philadelphia where he resides with his wife Tanya and their daughter, Ebony. 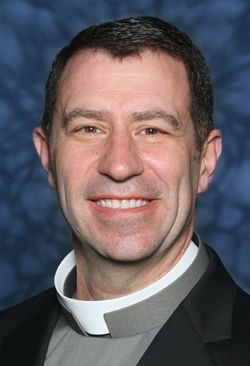 Anthony works for the Archdiocese of Philadelphia at St. Katherine Drexel School, Bensalem, in campus ministry. Hearty congratulations to the Deacons.